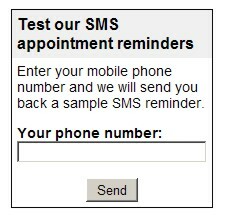 Automated Appointment Reminders system sends SMS, Email or Voice Mail Reminders. 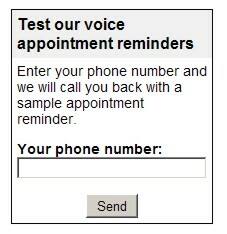 Automated Appointment Reminders can function as a great addition to your live receptionist. For many solo professional practitioners automation of calling their patients or customers is the most important function. Lost appointments are lost revenues. People tend to forget their commitments made long time in advance. The onus is on the businesses or professionals to provide timely timely appointment reminders.